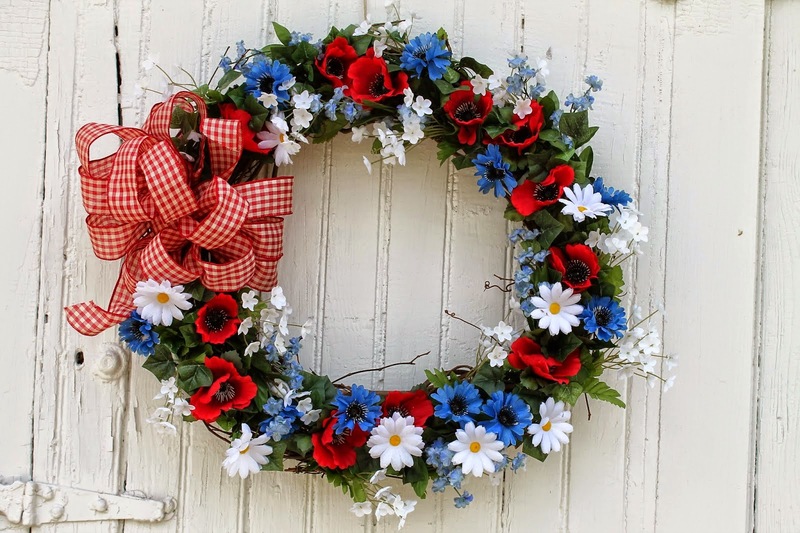 If you follow along, you probably already know that my very favorite craft project is making wreaths! And it's not at all unusual for friends to drop by my house with a roll of ribbon and ask me to make them a bow. I am happy to oblige! I started out making wreaths to decorate our house on Main Street for our occasional tag sales. We host at least one per season, so making wreaths just seemed like a good idea. Next thing I knew people were asking to buy them and I was taking custom orders. Now my house usually looks something like this prior to a tag sale! I've even made wreaths for weddings. 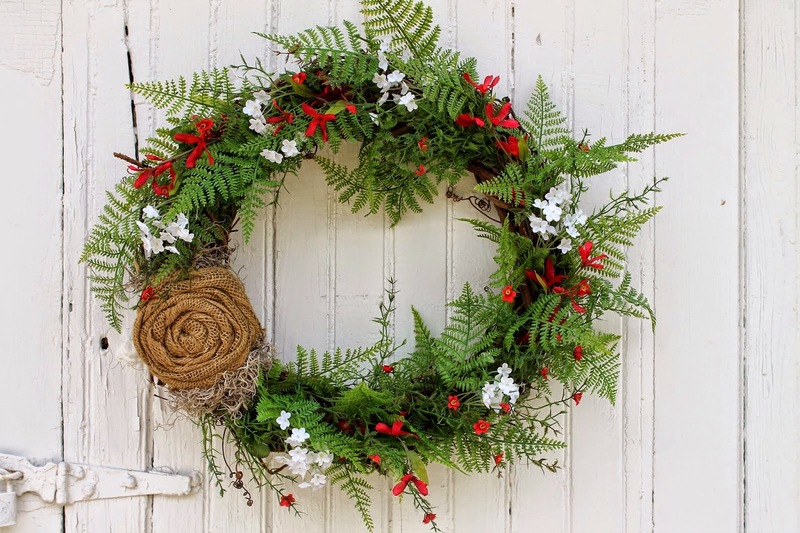 I find wreath making fun and very relaxing. And once I get started, it's hard to stop. I rarely ever make just one! 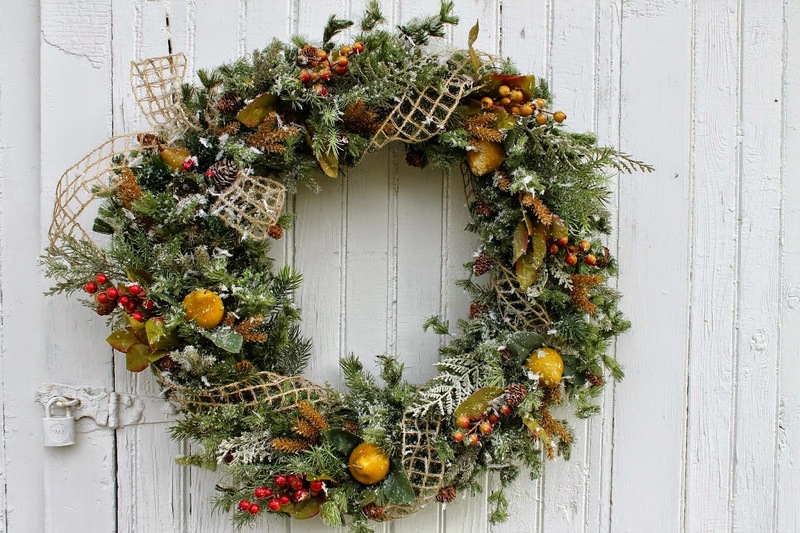 For our holiday sale, I made some wreaths that I thought would transition well into winter. I love using these cotton branches. They look like little snowballs, don't you think? 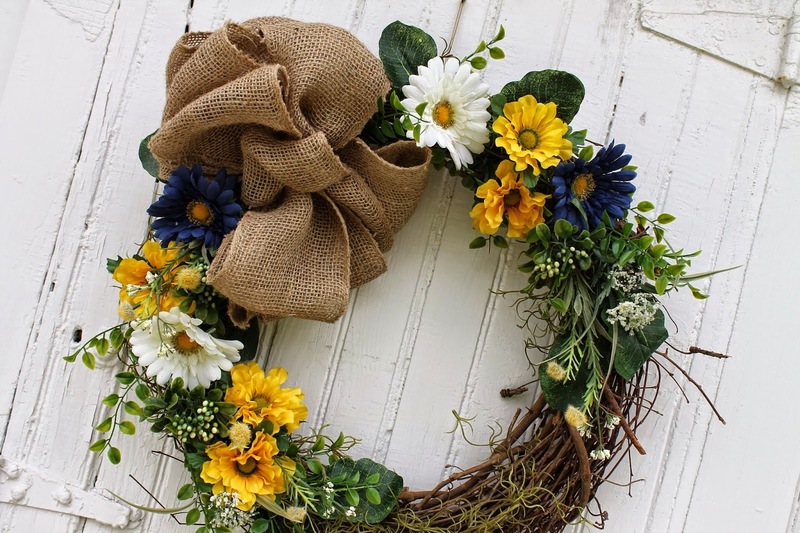 In the spring, I got hooked on the burlap bubble wreaths and shared my tutorial here. They are super easy and definitely addictive! I made the little nests to decorate them too. 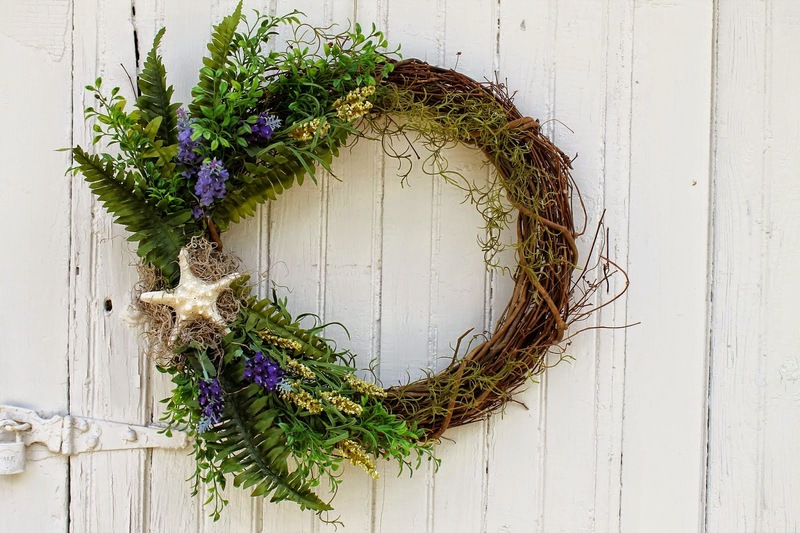 Spring wreaths transitioned right into summer. The fall wreaths might be my favorites. I love the colors, the texture and the mix of flowers and berries. I shared a tutorial here. 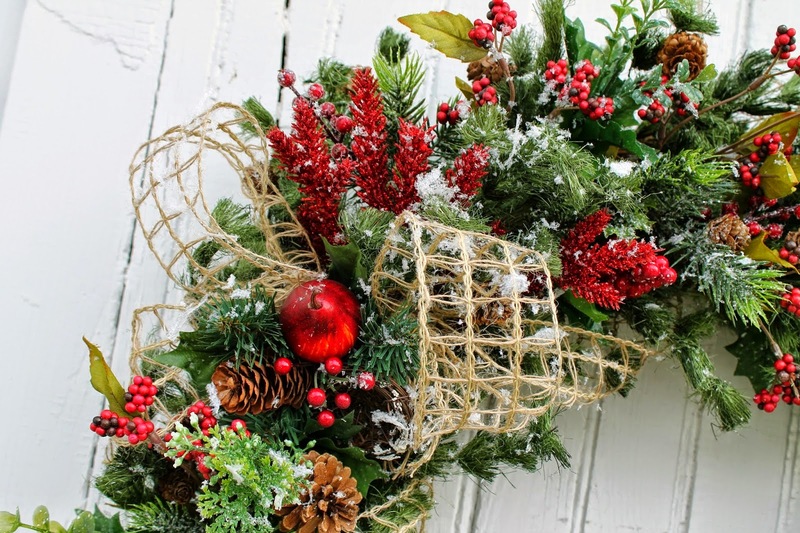 Christmas wreaths are fun and frosty! I made a bunch this year, but most of those pictures were lost in the computer crash. And I make ruffled sheet music wreaths all through the year. I shared a tutorial here. 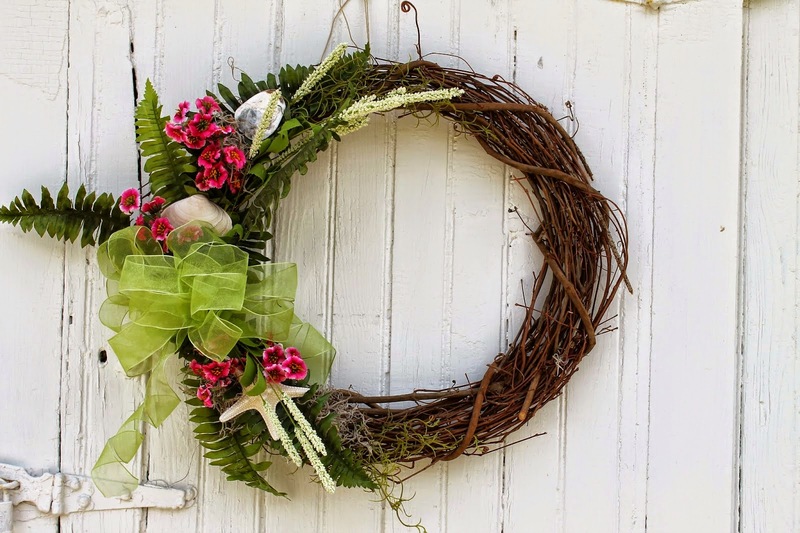 If you made it all the way to the end, you are surely convinced that I love making wreaths! 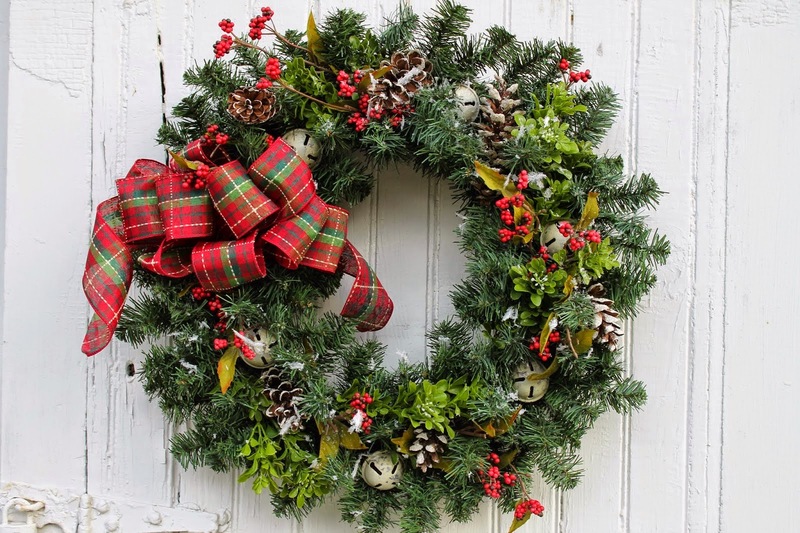 You make beautiful wreaths...they're all wonderful!! 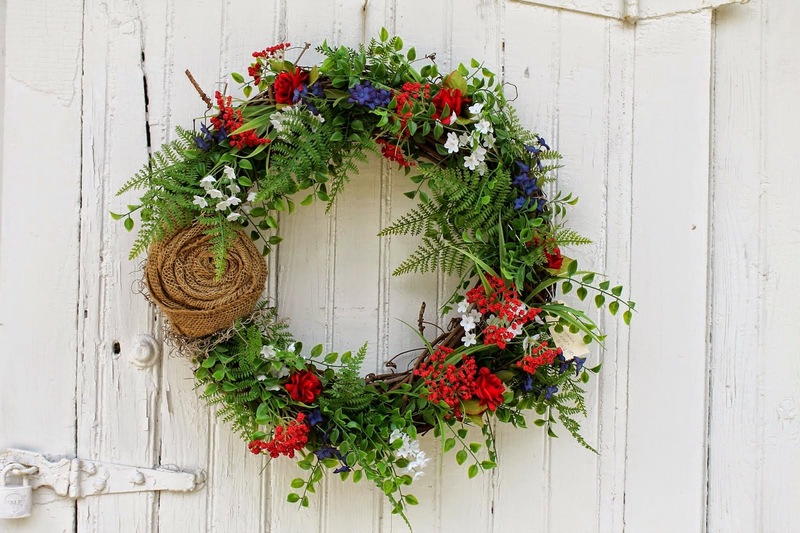 My favorite is the red, white, and blue one with the Eucalyptus. So pretty!! Love them all ! I need to find some cotton ! 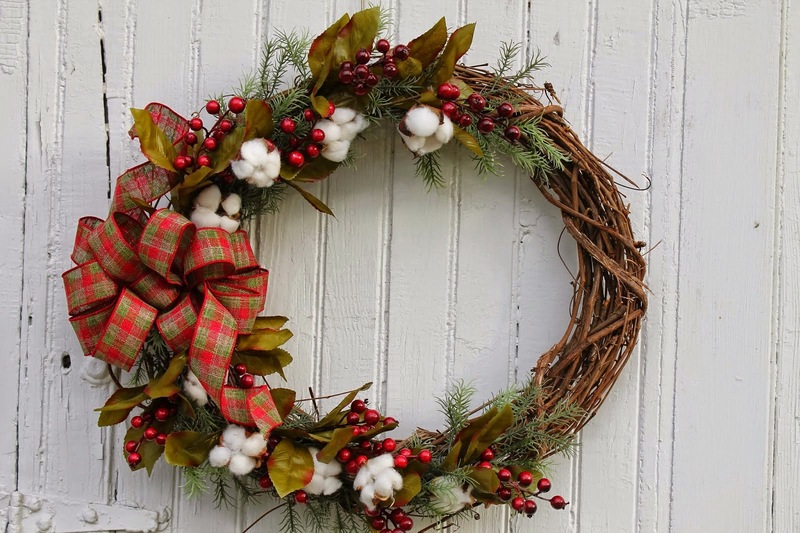 so envious of your wreath skills! 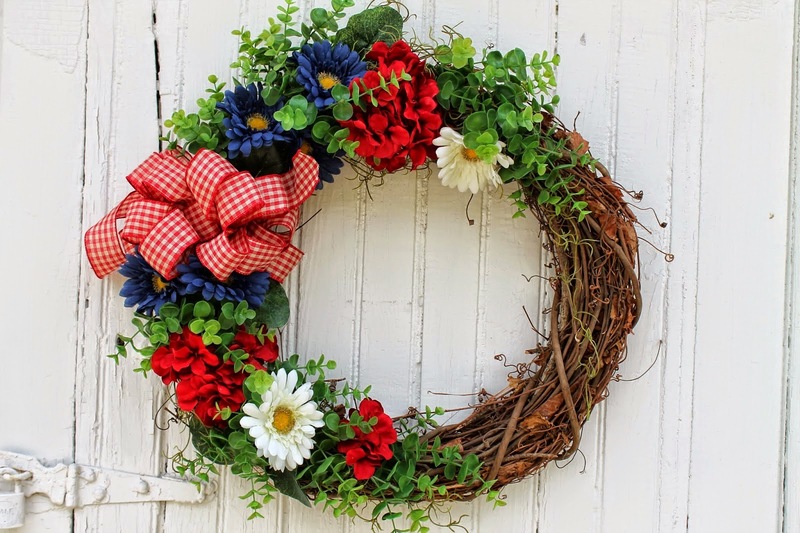 Here's my question to you.... while writing this post -- were you itching to make a wreath? That's when you know you're addicted! I feel that way about headboard benches. ps love every one of them! Sharon, you are so good at it, I love all of them! 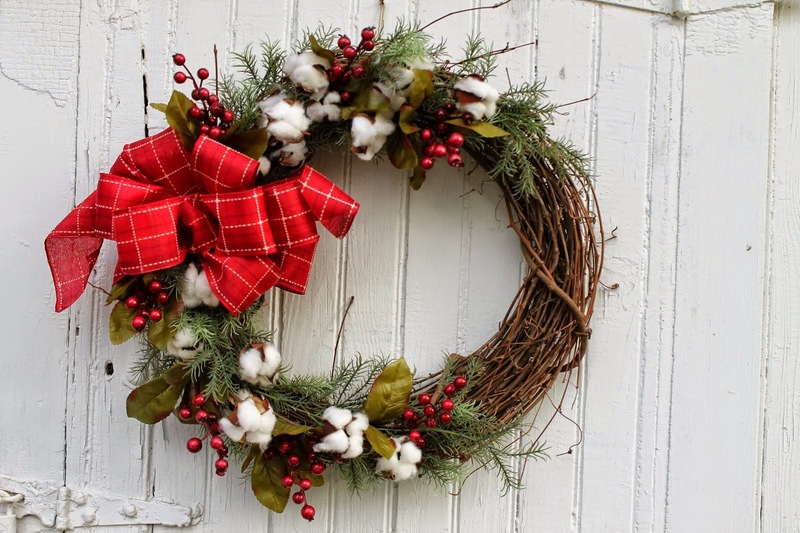 Especially when you incorporate burlap or those cotton branches. Very artfully done!